Barcelona, Spain –Today at ERS 2013, the European Respiratory Society (ERS) Annual Congress in Barcelona, Philips Respironics, a unit of Royal Philips (NYSE: PHG, AEX: PHIA), is showcasing patient-centered innovations that represent the future of health care for patients with chronic respiratory diseases. Dedicated to serving as an ally to clinicians in improving the lives of individuals suffering from sleep and respiratory issues, Philips Respironics is demonstrating integrated programs and science-based solutions through 11 September at ERS. Respiratory diseases, such as COPD and sleep-disordered breathing, are the second leading cause of mortality in Europe, costing an estimated €102 billion annually. This year at ERS, Philips Respironics offers providers a holistic suite of solutions, ranging from the brand new Wisp minimal contact nasal mask for sleep-disordered breathing and chronic respiratory conditions, to the CoughAssist E70 for patients with ineffective cough. Comfort, ease-of-fit and performance are critical to patient adherence. 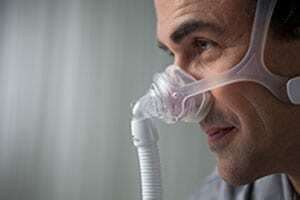 Philips Respironics will complement its mask portfolio with the introduction of the soon-to-be-available Wisp minimal contact nasal mask, an interface which has a unique tip-of-the-nose cushion that sits below the nasal bridge for a minimal contact experience and superior seal. The compact design comfortably fits 98% of patients, providing an open field of vision for a feeling of greater independence. In patient evaluation trials, seven out of 10 patients found that the Wisp fit better and was more comfortable than their existing nasal mask. The BiPAP autoSV Advanced System One for complex sleep-disordered breathing patients will also be on display at ERS, featuring clinically-validated technology such as servo-ventilation (SV) algorithm, unique auto-EPAP and automatic backup rate functionalities. New patient benefits of the BiPAP autoSV include a heated tube humidifier, which provides extra comfort for patients sleeping in a cold environment, those with pre-existing nasal conditions, or those using sinus drying medications. “Thanks to servo-ventilation, we managed to stabilize ventilation, resolving central and obstructive apnea, night hypoxemia and improving hemodynamics in a patient with congestive heart failure,” said Dr. M. Brunori of Policlinico Umberto and University of Rome. According to the World Health Organization (WHO), chronic respiratory diseases, including the deadly condition COPD, account for more than 250 deaths each hour worldwide. To offer better management for these diseases, Philips is introducing a series of solutions with enhanced features, including CoughAssist E70, Trilogy ventilator series with mouthpiece ventilation (MPV), and SimplyGo portable oxygen concentrator (POC). CoughAssist E70 clears secretions from the lungs by gradually applying positive air pressure (insufflation) to the airway and then rapidly shifting to negative air pressure (exsufflation). This in-exsufflation shift in pressure creates a high expiratory flow that simulates a deep, natural cough. The CoughAssist E70 incorporates several innovations and features like Cough-Trak, oscillations, and flow waveforms that improve comfort and aid in the efficacy of the therapy. The Trilogy ventilators are designed for use at home, hospital and alternative care sites, providing invasive and noninvasive ventilatory support for adult and pediatric patients. The mouthpiece ventilation (MVP) support system enables on-demand ventilation without the need for an exhalation device. “MPV technology is the beginning of a paradigm shift in how ventilatory support will be provided, noninvasively rather than invasively," said Dr. John R. Bach. Additionally, the light-weight SimplyGo portable oxygen concentrator (POC) delivers simplified care by providing continuous flow and pulse dose oxygen therapy to fit most oxygen patients’ needs in the treatment of COPD. In 2013, Mark Junge a 70-year-old US adventurer, cyclist and health advocate with COPD, embarked on a 500-mile bicycle tour through Canada with the SimplyGo POC strapped to the back of his bike to help him breathe more easily. Visit Philips Respironics at booth F20 at the 2013 European Respiratory Society Annual Congress, 7 – 11 September at Fira de Barcelona. On Tuesday, 10 September from 13:15 to 14:30, Philips Respironics will host a workshop, “Avoiding tracheostomies for patients with chronic respiratory insufficiency” with Dr John R. Bach and Dr Miguel Gonçalves in Room 3.10. For more information please visit www.philips.com/ers2013.